Where to eat before or after any Prospect Park outing. Do you find yourself browsing The Infatuation in search of a restaurant with solid food, good vibes, and very reasonable prices in the Crown Heights/Prospect Heights/northern edge of Prospect Park area? We ended up at Glady's with these criteria in mind, and can report confidently that it delivered on these needs. Remember when your report card said MEETS EXPECTATIONS in all areas? Glady's does that. In some areas it even EXCEEDS EXPECTATIONS. If the above checklist of needs doesn't apply, life will go on if you don't make it to Glady's. But if you're in the area and looking to hang out over some jerk chicken, spicy shrimp, and drinks, you can confidently direct your crew to Glady's, with its Caribbean food and island vibes. If you need to do some convincing, show your friends that the drinks menu has both different sections for "rum," "rhum," and "ron," as well as a Dark & Stormy slushy. Half your party may find this drink disgusting while half may find it truly beautiful, but simply knowing it exists has been known to lift spirits. As for the food? The Carribbean menu is made up of different simple, unadorned, sharing-friendly plates of meat and seafood, plus some solid sides like fried plantains and sticks of fried dough called "festivals." It's not necessarily food you'll be writing home about (MEETS EXPECTATIONS! 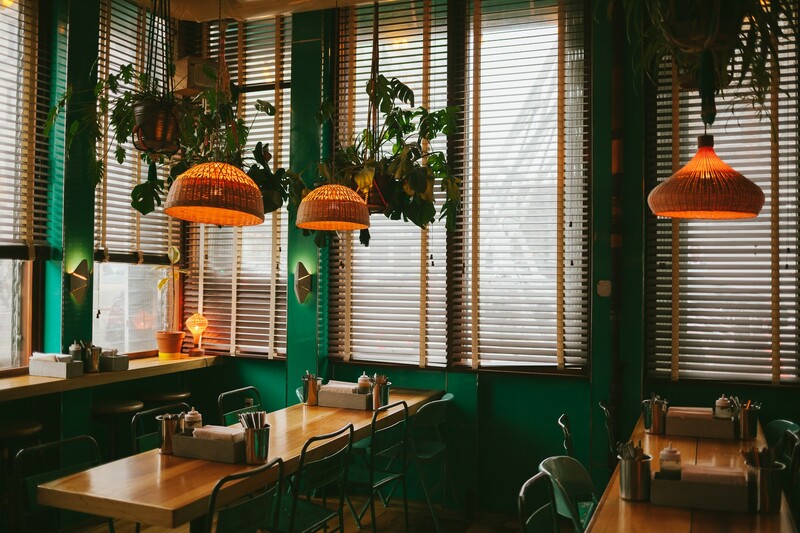 ), but when you consider you're sitting in a cool room with green walls and plants hanging from the ceiling (EXCEEDS EXPECTATIONS) and most of the plates cost less than $10 (REALLY EXCEEDS EXPECTATIONS), you'll be pleased with what's in front of you. This is not the place to complain about a less than perfect plantain. A Caribbean staple, and one of the best things here. You want this on your table. At $9 for a half a chicken, you might want two. The jerk spices don't translate quite as well on this dish, and as a result it feels a little plain. This is, on the other hand, is anything but plain. Goat comes mixed into lots of curry sauce, with a side of rice for soaking up the flavorful sauce. A plate of shrimp comes doused in a spicy, tangy sauce that could definitely be bottled and sold. The shrimp come with shells on, so prepare accordingly. By which we mean you'll need to remove the shells. Fried plantains? Literally never bad. These? Not the best ones we've ever had. A little dry and not super sweet. Still: pretty good. See: expectations. All foods should have such literally festive names. This is basically a wand of fried dough/cornbread. The plates come mostly plain on a plate, so you'll want a bright vegetable side to cut the meat. The slaw will aptly do that for you.